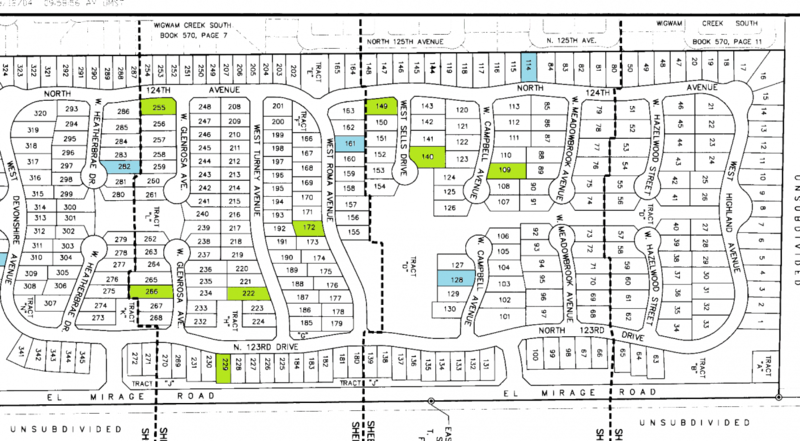 Here is a list of homes available in the Rio Crossing community. I’ve compiled this list solely by driving around the neighborhood every now and then and making notes of For Sale or For Rent signs in the yard. No realtors or sellers have been contacted. All you get here is a list of addresses… if you are interested, please come to Rio Crossing and take a look! Last update: mid-June 2017. Numbers on map are “Lot Numbers,” not street addresses.